1. Preheat oven to 350 degrees (F). Lightly grease and flour (do not use cupcake liners) 9 cavities of a muffin tin. For the remaining 3 cavities, full up halfway with water (this will ensure even baking). Set aside. 2. In a bowl, combine the flour, sugar and baking powder. Stir to combine. 3. In a separate bowl, lightly beat the egg. Beat in the milk, butter and vanilla. Combine the wet and dry ingredients; mix thoroughly until well mixed together. 4. In a skillet, heat the Premio sausage according to package instructions, and coarsely chop the sausage into small, bite-sized pieces. Fold the sausage pieces into the batter. 5. Using a cookie scoop, scoop up the mixture and transfer into the prepared muffin tin. Place into preheated oven and bake for 14-16 minutes, or until lightly browned around the edges. 6. Remove from oven and allow to cool before serving. If desired, top with maple syrup and enjoy immediately. Looking for a fun treat to try when you wake up in the morning? 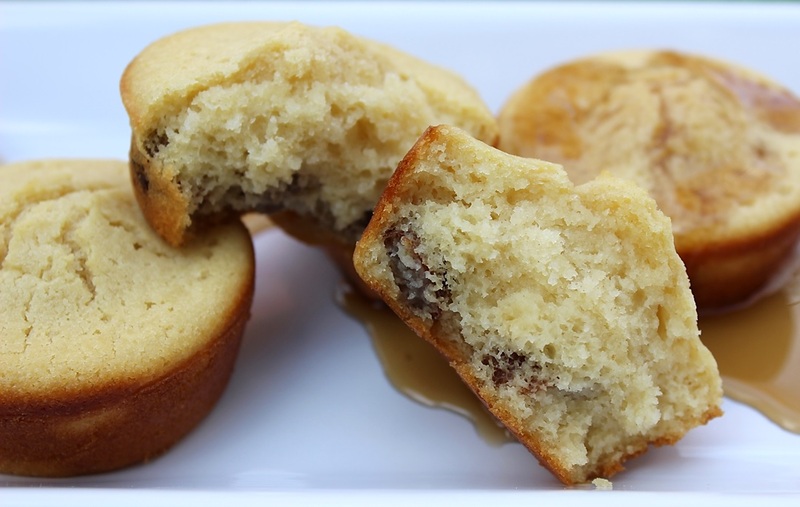 A Pancake Muffin is a great option for all times of day and is perfect for your family to get their supply for energy and healthy ingredients including the timeless taste of Premio sausage. Try this free recipe and hundreds of others today from Premio!